The ICEHOTEL in Sweden is one of the World’s most incredible (and possibly the coldest) hotels to stay in. 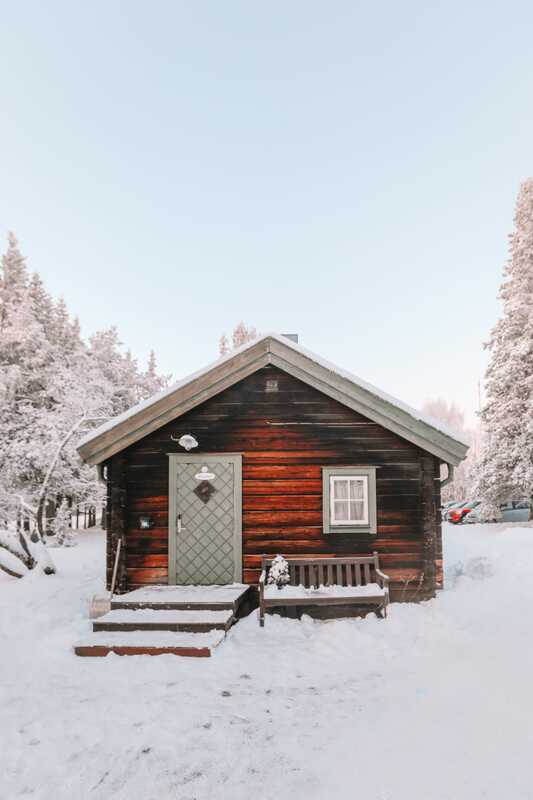 Perched in the Arctic Circle in jukkasjärvi, it’s definitely a bucket-list experience that everyone should have at least once. 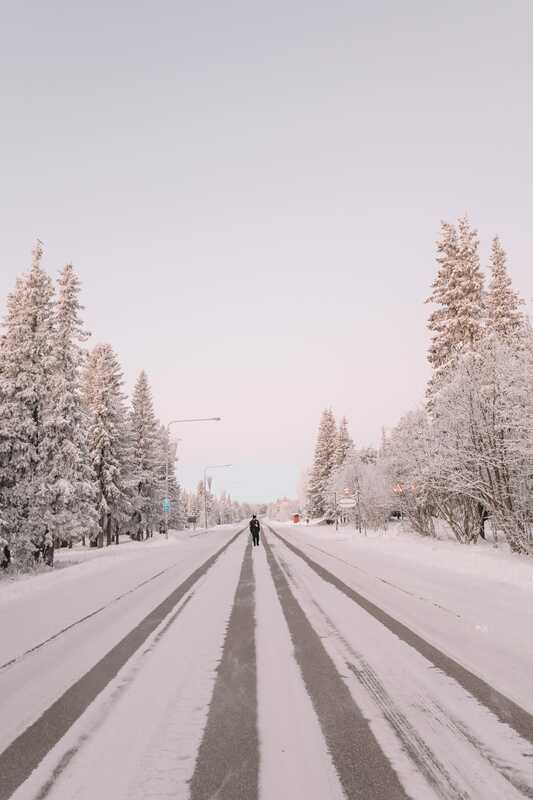 Each year, artists from around the world are flown into the pristine wilderness around jukkasjärvi for the most amazing art installation and holiday experience that is just so much fun to see. 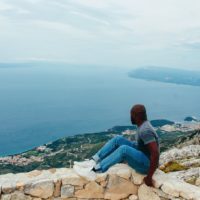 Now, after our most recent visit the ICEHOTEL in Sweden, I wanted to share a few tips and tricks on the best things to do and how to actually get there. 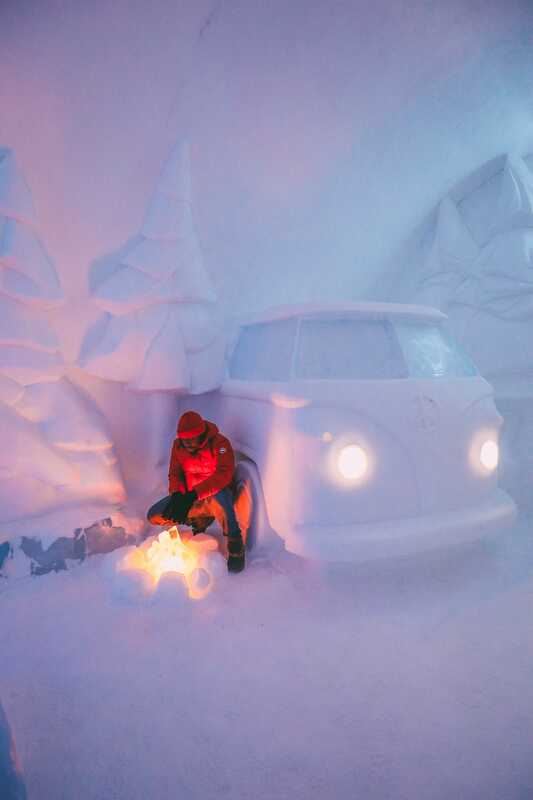 Take a look below at some of the best things to do in the ICEHOTEL in Sweden. Just remember to wrap up warm. There are a few ways to get to the ICEHOTEL in Sweden, depending on where you live. 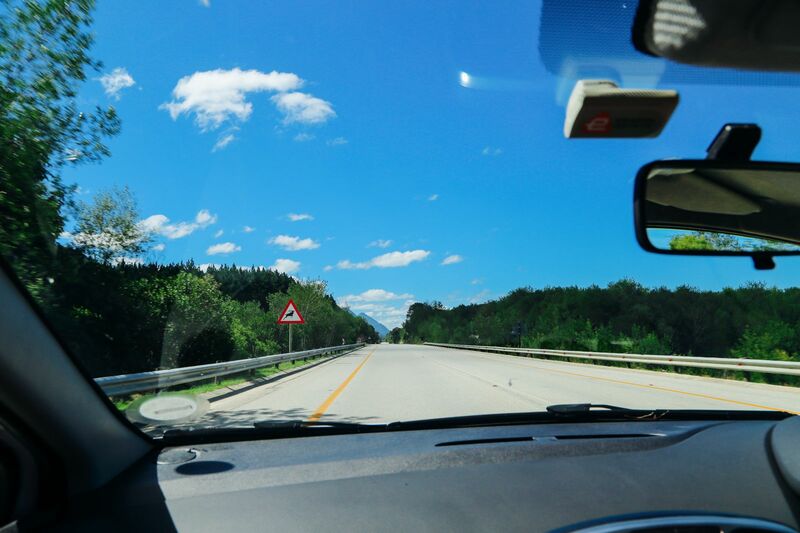 For most people, it will involve a flight to Oslo with a connecting flight to Kiruna. 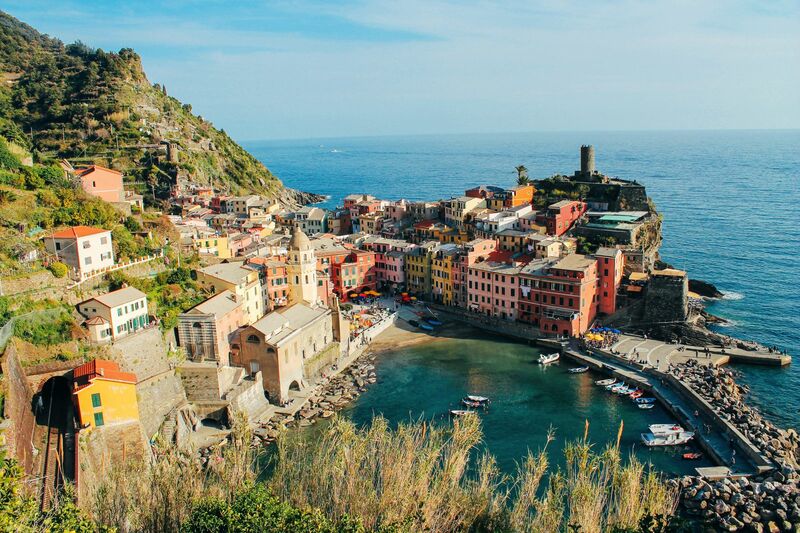 Alternatively, if you’re flying from the UK, you can actually head out on one of the Discover The World direct flights that are chartered seasonally. This is exactly what we did and flew from London Heathrow. The flight time was about 3.5 hours and was so great. No faffing with connecting flights and it was all so easy. Once you arrive at Kiruna, there are a number of options to get you to the ICEHOTEL itself. Firstly, the hotel can organise Huskies to come and pick you up from the airport. 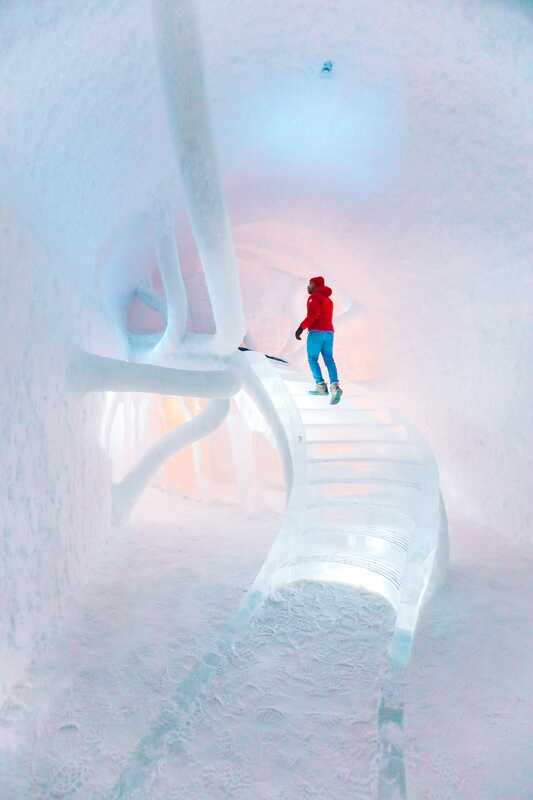 Alternatively, if you fancy an adrenaline rush, arrange a snowmobile from the ICEHOTEL in Sweden. They’ll be waiting when you land. Alternatively, if you want to stay nice and warm, pop in a taxi and head straight there. What is the ICEHOTEL in Sweden like? There’s no beating around the bush… it’s amazing! 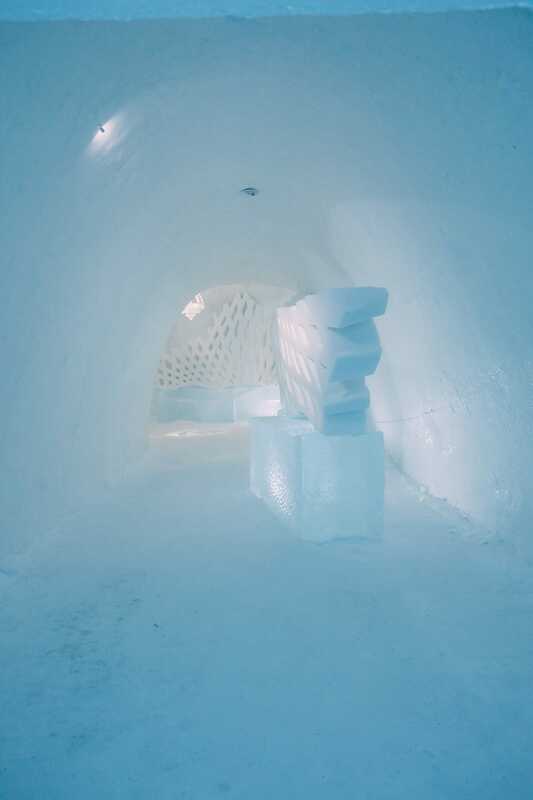 Firstly, there are actually 3 different hotels within the ICEHOTEL in Sweden complex. Each year, the ICEHOTEL is built from scratch from the river water that flows by in the summer. By the time winter comes, the ice is packed and frozen and created into the most incredible and artistic rooms you could ever imagine. 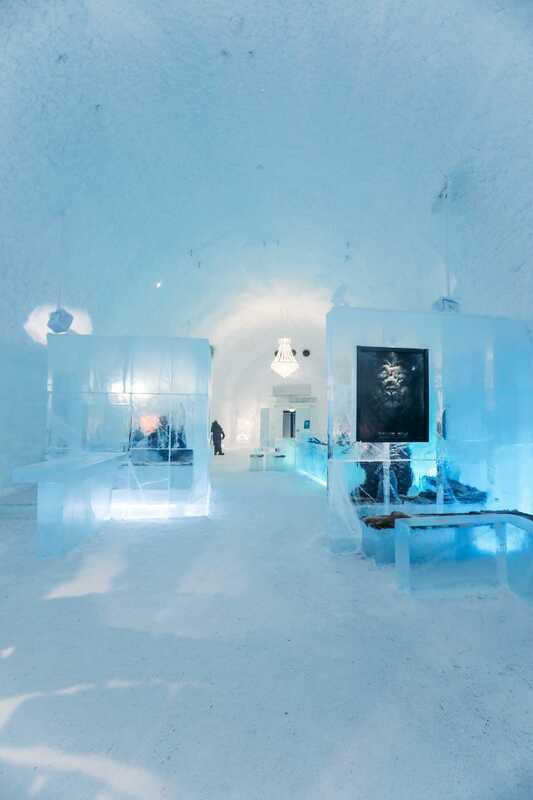 This year’s hotel is called ICEHOTEL 29, with the number changing each subsequent year. For instance, next year it will be called ICEHOTEL 30. 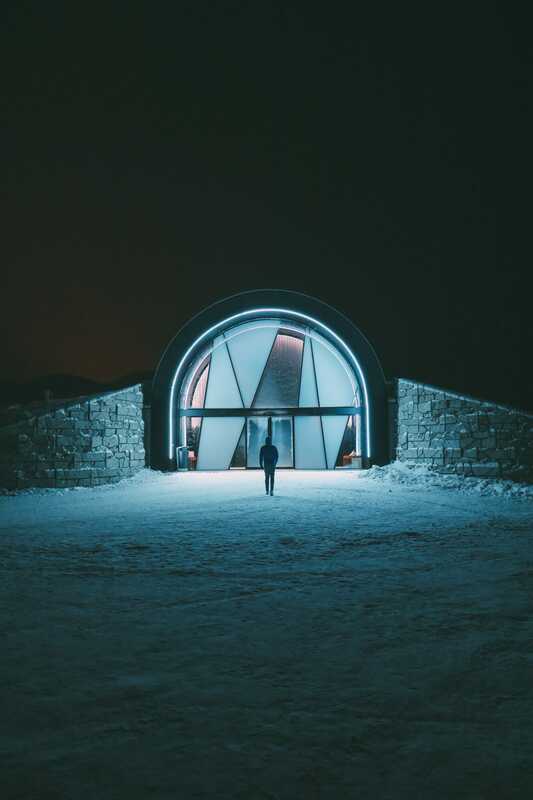 The ICEHOTEL 365 is the year-round ice hotel that even functions in the (not snowy) summer months. 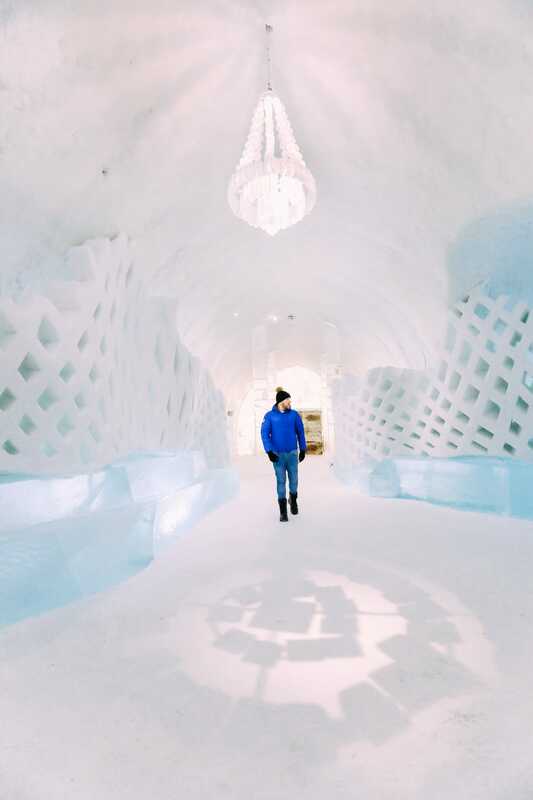 The ICEHOTEL 365 is a stunning hotel that’s kept below freezing all year round, with some of the prettiest rooms imaginable. They’ve also got an incredible Ice bar here… which is perfect for cocktails. 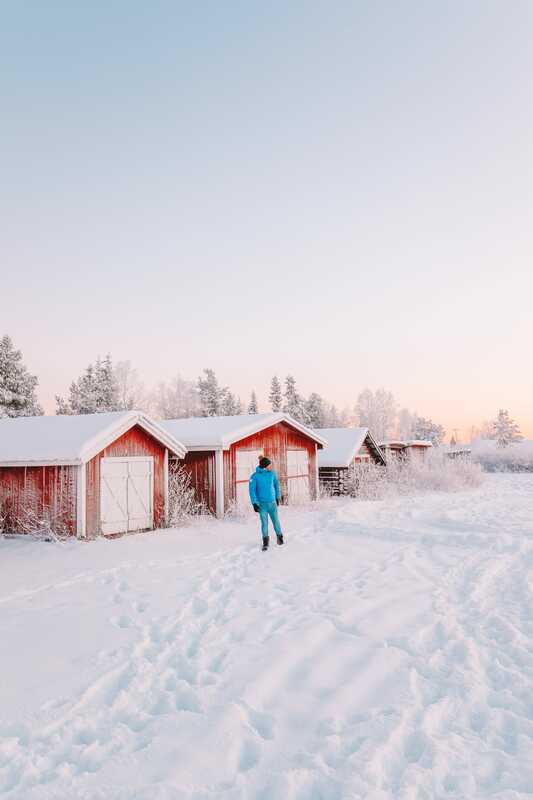 Kaamos is the warm hotel and a respite from the chilly arctic temperatures that can take hold in winter. Typically, on a 3-day holiday, you will spend 1-night sleeping in the ICEHOTEL itself and two nights staying in the warm rooms of Kaamos. What do the rooms look like? Take a look at our blog post here on what the different Art Suites and ICEHOTEL rooms look like. How much does the ICEHOTEL in Sweden cost? 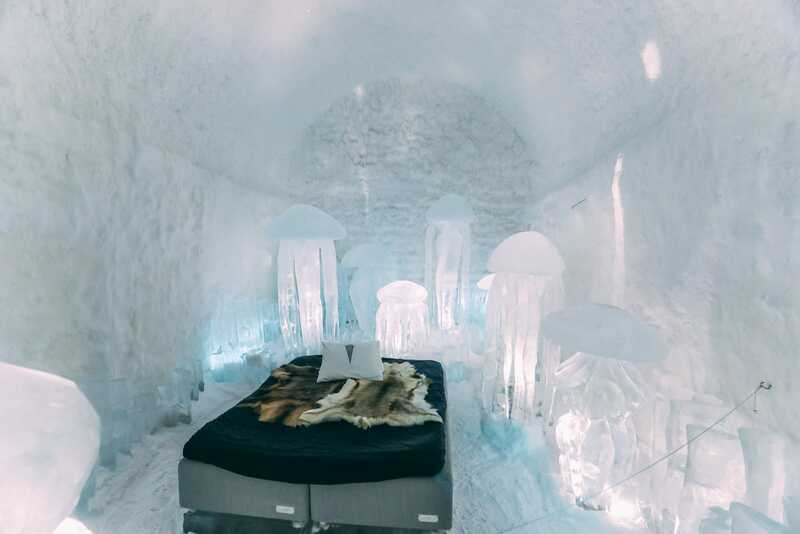 Prices for the ICEHOTEL in Sweden vary depending on when and what rooms you choose. That being said, they also have offers where you can combine multiple experiences to make the cost cheaper. 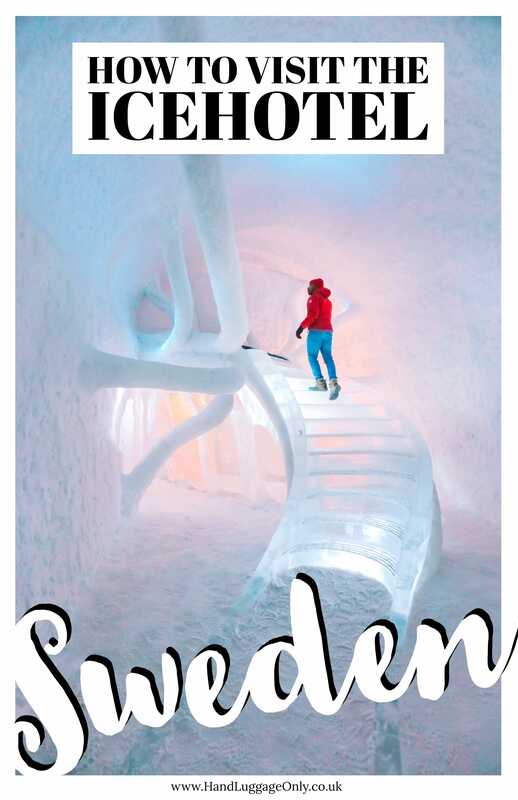 Best things to do in the ICEHOTEL in Sweden? 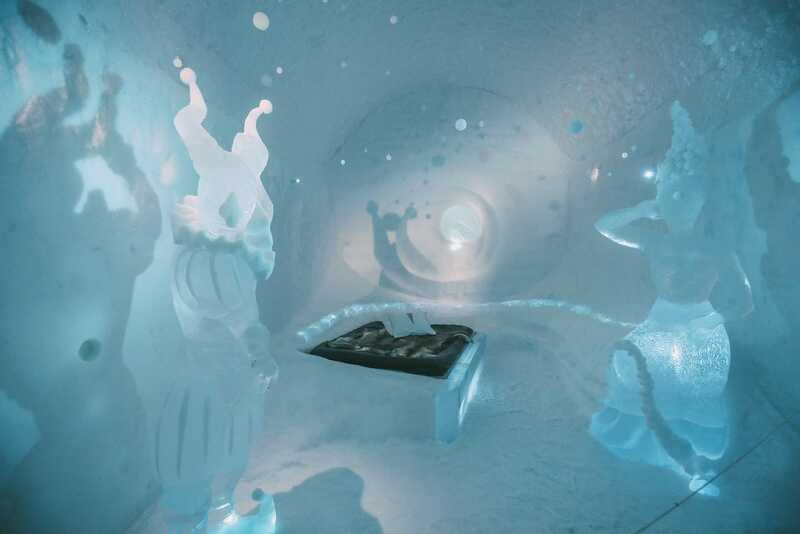 There are lots of different rooms in the ICEHOTEL in Sweden. Some are Art Suites, some are deluxe rooms, others are ice rooms. Whatever you choose, make sure to have an explore of all the art suites that are just beautiful. 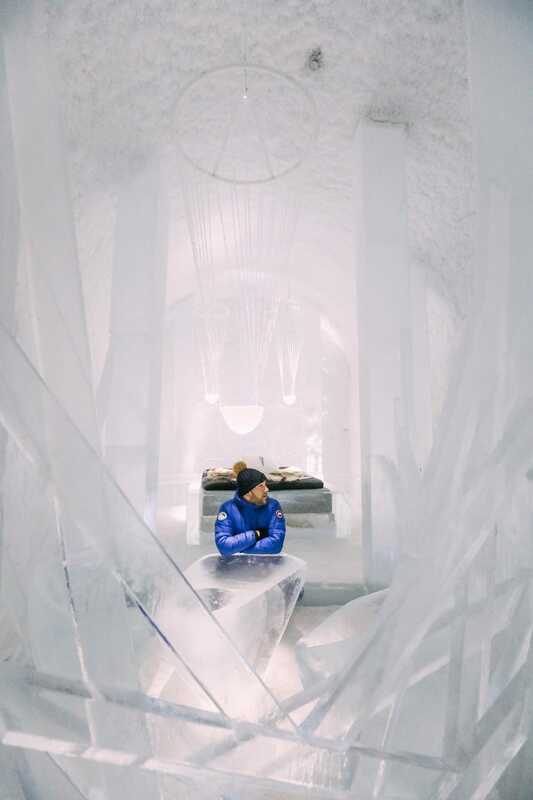 As a guest of the ICEHOTEL, you get to explore the hotel and its rooms throughout the day. Plus, it’s totally free for guests. Perched within the ICEHOTEL 365, the ice bar is an amazing place to spend an evening or to grab a nightcap before sleeping on ice. Pop over, try their cocktails and wrap up in the thermal suit that you’re given when you arrive at the ICEHOTEL. Once you’re at the ICEHOTEL in Sweden, you can even try your hands at ice sculpting during a masterclass in the day. It lasts about two hours and your given a massive chunk of ice to carve into your very own masterpiece. Mine was terrible but some other guests created the most amazing art. Mine just looked like a three-legged ogre! As you’re in the Arctic Circle, you’ve got a really good chance to see the northern lights whilst staying at the ICEHOTEL in Sweden. Head slightly away from the light pollution (or choose one of the excursions) and watch the lights dance overhead. It’s an amazing thing to see. Head chef Alex (Alexander Meiers), is one of the most talented chefs we’ve ever met. We booked into the chef’s table at the Veranda which was a 12-course tasting menu of the most amazing dishes I’ve ever seen. Paired with lots of bubbles, it was a beautiful way to spend an evening after a day out in the cold. When visiting the ICEHOTEL in winter, you’ll be able to head across the frozen river on your very own dog sled that’ll whisk you off into the Arctic countryside. Taking around 90-minutes, you’ll stop off at a small tent (with log fire) for hot coffee and tea (with a big slice of cake). It’s so much fun. 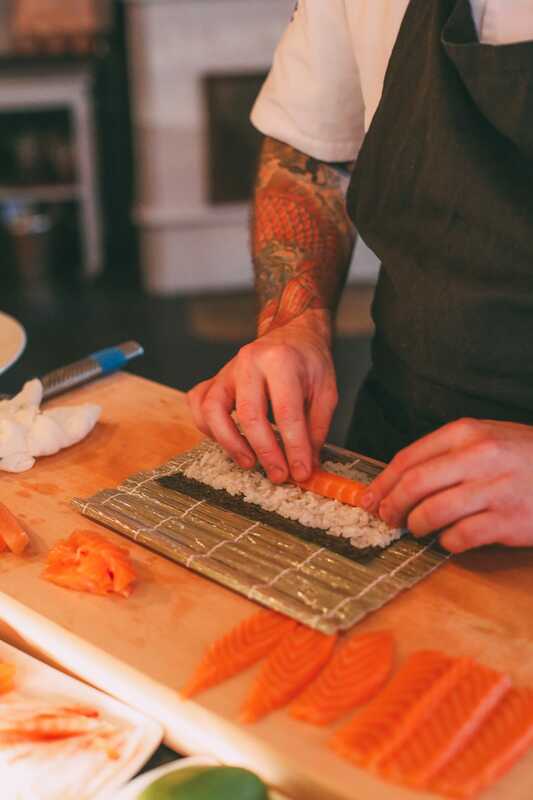 If you’re looking for a respite from the cold, head to the Arctic sushi class that teaches you everything you need to know about making, preparing and choosing sushi. Best of all, you’ll be able to eat all your sushi for lunch. It’s one of the most delicious experiences at the ICEHOTEL in Sweden. 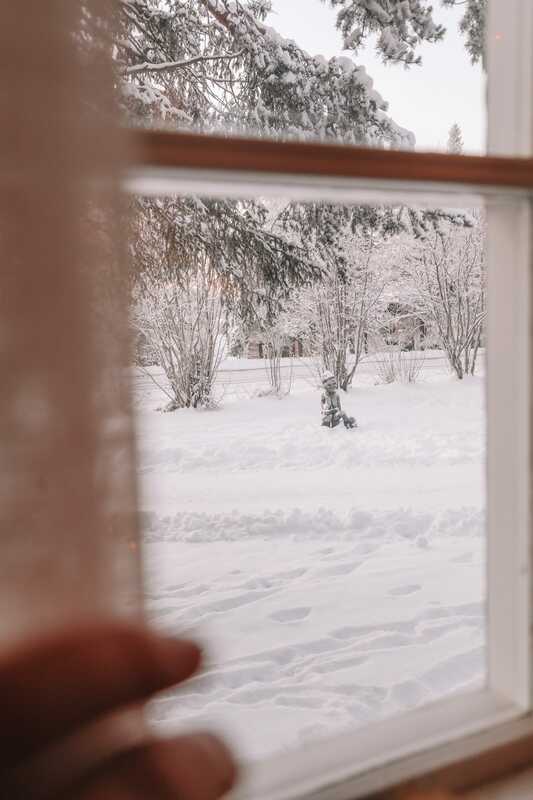 Around 10-minutes walk from the ICEHOTEL is the Homestead, a small wooden lodge that is kept warm with log fires, plenty of candles and wine! It’s a totally cosy and delicious restaurant that serves up some of the heartiest food in the region. Plus, as the local advice is to eat 40% more than usual in the cold weather, it’s the perfect place to gorge on pudding too! 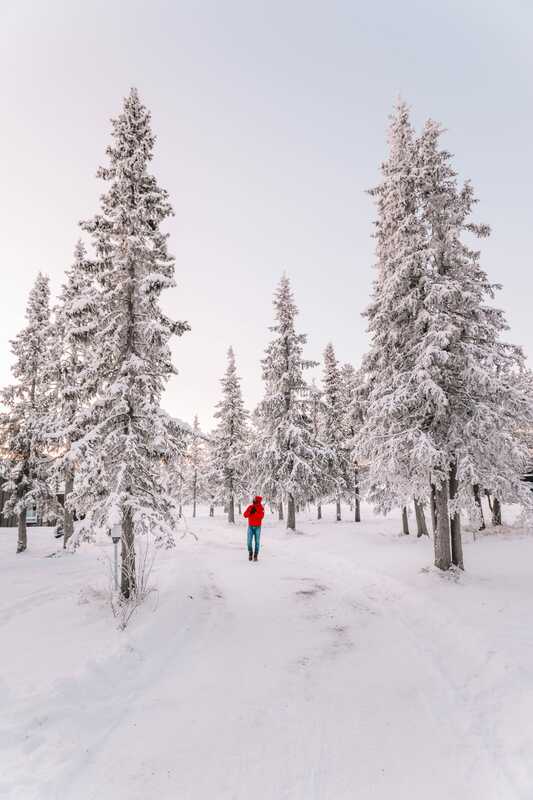 If you’re feeling a little energetic, pop on some cross country skis and head out onto one of the many ice trails that cover the area. You can head out on a guided excursion that’ll guide you across the frozen river, through the forests and all the way back to your cosy room in the ICEHOTEL itself. 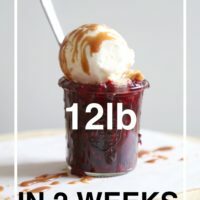 It’s a proper workout so make sure to have lots of energy. Officially the oldest church in Lapland, Jukkasjärvi church is only around a 15-20 minute walk from the ICEHOTEL itself. Head inside and see the beautiful and totally quaint church and explore the tiny little village. If you’re hankering for a drive across the frozen lakes and rivers, join one of the snowmobile experiences that go in the daylight and in total darkness. We opted for the darkness tour to spot the Northern Lights, which I’d definitely recommend. Just make sure to wrap up warm and take a few balaclavas (provided by the ICEHOTEL) to keep you warm. Nobody wants frostbite.